A town of 7,300 in southeastern Kentucky has revitalized its downtown through a local-food renaissance. Corbin‘s main street, once filled with vacant buildings and few businesses, is now thriving, adding 20 new businesses since 2012 while reducing a 40 percent vacancy rate to nearly zero, writes Patty Cantrell, of the Missouri-based consulting firm Regional Food Solutions, for Good Food On Every Table. Communities are getting help from federal agencies, such as Local Foods, Local Places, which provides grants “to boost economic opportunities for local farmers and businesses, improve access to healthy local food, and promote childhood wellness,” says the Environmental Protection Agency, one of the sponsors of the program. Very interesting! I’ve always assumed Corbin was horrible based on my stops for gas there on the way south. Next time I’ll pull off and explore; they should do more to let people know there is more there than gas stations and fast food at the exit! Something must be done about the downtown parking situation. The street is too narrow, for parking on both sides. I was almost hit by two cars, last weekend! My family and I would spend much more time and money downtown, if we didn’t have to worry about getting struck by speeding cars! It’s truly dangerous! Jennifer, I grew up there. And honestly, the way Main and Kentucky streets are now is a blessing. I’ve never found parking on Main to be difficult or a hazard. Just have to use Depot St. but, I’ve not been on it in years lol!! Lived here my entire life, I can remember downtown being busier when I was a kid and it kinda turned into a ghost town, but know u can see and feel the change. Me and my husband love the Wrigley, we r there once a week, delicious local food and great atmosphere. Excited to see future changes and local businesses continue to thrive. This is great news! 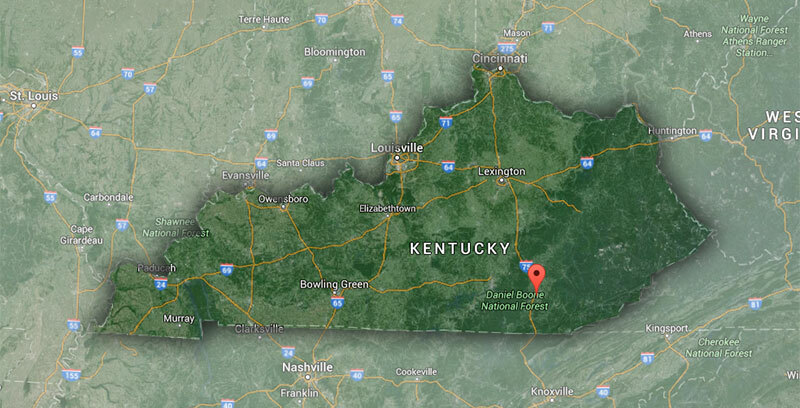 I have always thought of Corbin as one the worst looking towns in Kentucky. 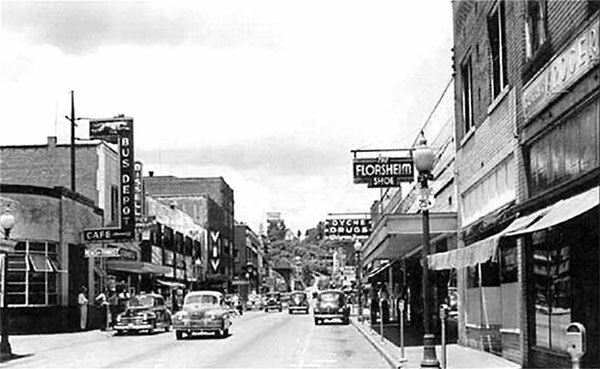 Are there any photos available of downtown Corbin after its revitalization? Good idea for Somerset, too. I’d like to see a area where local artists could display their artwork. I was born in Corbin and raised in South Corbin. Spent eight years in the Army, Army Air Corps, and the USAF, but when I was discharged after the end of the Korean war.. My father was Albert Sumner who worked at the L & N RR for about 50 years. I always wanted to go back, but no decent jobs were available. I am retired and live in Versailles, KY now. It appears that the younger generation is on the ball and attracting new people and new jobs to Corbin. I wish them a lot of luck, but a warning: Luck is realized by hard work. The harder you work the luckier you get. I remember Corbin as a place to stop for gas on I 75 on the way to Florida-both as a kid and as an adult–but never really “stopped” for any other reason. So glad to see it “coming back” it could be a major stop-over for lots of people if this is successful. Hope so. Jennifer G., that’s a ridiculous excuse and you probably know it. Is it really that dangerous? Not ever in my experience. Stop your complaining and do something about it, if you’re so inclined. If you’re not inclined to help out, stay quiet and enjoy the fruits of your neighbors’ hard labor. Cheryl, Somerset has had a facility for viewing local art for many years, in the heart of downtown in the old library. You should have a look; you’d probably enjoy it! I’m happy that Corbin is moving beyond it’s reputation as one of Southern Kentucky’s most hateful, racist and downtrodden towns (remember the sign reminding African Americans that they should leave before sundown? A lot of us do). Many of us moved away from Southern and Eastern Kentucky over the years not only to find better opportunities, but to get away from the stifling religious fanaticism and pharmaceutical abuse issues–and the plethora of associated problems that come along with them–that plague the region. Hopefully, HOPEFULLY, this momentum continues. Good on ya’ Corbin! This is great. I used to live in Corbin years ago. And ate a lot at the YMCA, railroad station. I loved going downtown as a kid. I was raised out in the “county”. All the stores seemed so huge to me. I’ve visited in the last few years and have patronized a couple of the new eateries. It makes me feel very nostalgic. I wish that they would do that in Williamsburg Kentucky, we don’t even have a movie theater. No wonder there are children and teenagers getting in trouble, there isn’t anything to do here. We have to go to Corbin to see a movie. I was born in Colorado, but I’ve made Corbin my home for the past six years now. In that time, I’ve seen Corbin change from a place that reminded me of every rundown town in America, to a place that’s doing its best to bring back the charm of a small town. Good on the voters for legalizing alcohol sales. That tax revenue was the first major step in getting the funds needed for turning this place around. Barbourville finally took notice; Knox voters finally got it approved there as well. Hopefully all of Southeastern Kentucky can experience this resurgence. All that has to happen to make it stick, is a lack of greed and corruption within our local political climate, as well as responsible drinking habits by the voters. It’s sad that it took so long before a substance was made legal to sell in a region that is full of people who enjoy alcohol as much as any other American town. All the revenue through the years that these counties could have added to their coffers went north to Richmond, or south to Jellico, Tn. Now instead of bolstering their economies, we can reap the fruits in our own towns. So many positive changes in just the last two years. I love it here, and am proud to raise my family in this beautiful region. So wonderful to see a hometown being brought back to what it once was, maybe even better. Gives me hope for my hometown! Keep up the good work!